Back in 2009 the European Commission set an agenda to phase out inefficient light bulbs, encouraging the adoption of more energy efficient alternatives. The idea was that if a suitable, more energy efficient option is readily available then the old predecessor will be removed from the market so its use is phased out. 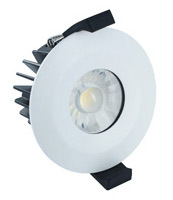 In this article we discus the latest ban on directional halogen lamps. How smart is smart lighting? For most of us, the lights we rely on around the home or at work have remained in the analogue world – They’re either on or they’re off and that’s the way it’s been for years. However, change is upon us and the lighting industry is starting to get creative with what technology can do for us. Digital apps allow us to have very precise control over the colour and brightness of individual or multiple grouped lights. This includes the ability to save and recall scenes, programme on and off timers or use sensors or other inputs to initiate an action. For example, if a sensor doesn’t pick up movement in a room for 5 minutes, the lights automatically turn off. 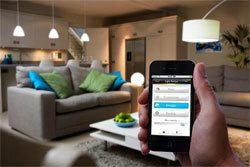 > Read more about:How smart is smart lighting? 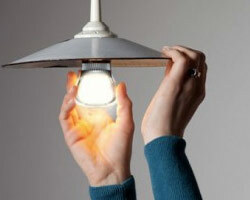 > Read more about:Ledvance Osram – What’s going on?